Virginia Gov. Ralph Northam on Wednesday announced the appointment of Norfolk Commissioner of the Revenue C. Evans Poston Jr. to the University of Virginia Board of Visitors. Northam also reappointed three board members: Rector Frank M. “Rusty” Conner III of Alexandria, Barbara J. Fried of Crozet and Dr. L.D. Britt of Suffolk. Poston, of Norfolk, was elected Commissioner of the Revenue in 2013. Prior to his election, he worked as an insurance broker for USI Insurance Services. He has served on the Norfolk Environmental Commission, the Norfolk Crime Line Board of Directors and the Norfolk Tourism Research Foundation. Poston earned an MBA in 2017 from UVA’s Darden School of Business. 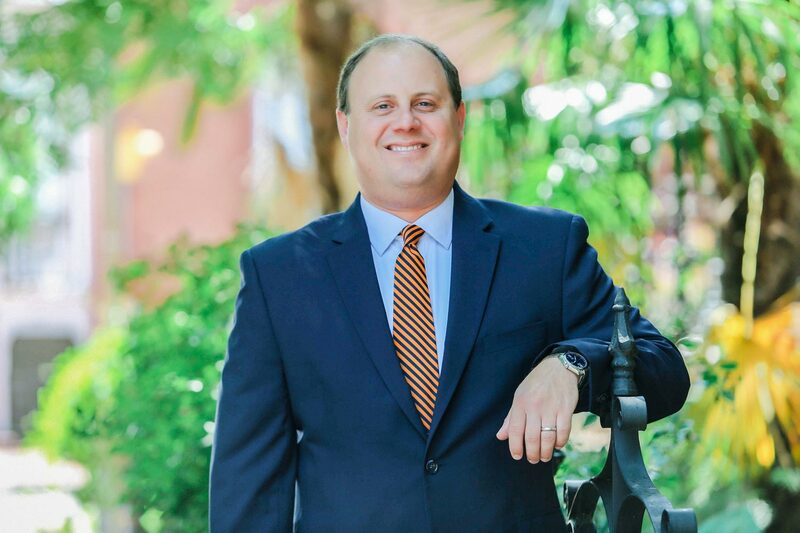 He earned his bachelor’s degree in history from the College of William & Mary in 2002 and a master’s in public administration from Old Dominion University in 2004. Poston’s wife, Rebecca, is a “triple ’Hoo,” having earned a bachelor’s degree in religious studies in 1999, a bachelor’s in nursing in 2003 and a Ph.D. in nursing in 2012. Conner, who was appointed to the Board of Visitors in 2014 and was elected vice rector in 2015, is a partner with Covington & Burling LLP in Washington, D.C. He formerly chaired the Metropolitan Washington Airports Authority and the Virginia College Savings Plan, and serves as counsel to the National Democratic Institute for International Affairs, a nonpartisan organization engaged in democracy initiatives in 65 countries. He received a bachelor’s degree in economics and a law degree from the University. Britt, who also was appointed in 2014, is the Brickhouse Professor of Surgery and chair of surgery at Eastern Virginia Medical School in Norfolk. A practicing physician, he is a former rector and member of the Norfolk State University Board of Visitors and a former regent of the Uniformed Services University of the Health Sciences in Bethesda, Maryland. He received his bachelor’s degree from UVA and is a graduate of the Political Leaders Program at UVA’s Sorensen Institute for Political Leadership. Britt earned a medical degree and Master of Public Health degree from Harvard Medical School and the Harvard School of Public Health, respectively. Fried, also appointed in 2014, is chair emerita and former general counsel and executive vice president of Fried Companies Inc., a real estate development and property management firm based in Ruckersville and Crozet. She is a director of the UVA Foundation, member and immediate past chair of the Sorensen Institute for Political Leadership’s State Advisory Board and a former member of the Board of Directors of the Virginia Humanities foundation. She is a former member of the Virginia Port Authority Board of Commissioners and a former trustee of the George Mason University Foundation. Fried earned a bachelor’s and law degree from the University of Chicago and a master’s degree in history from UVA. The appointment of John Granger Macfarlane III of Darien, Connecticut and Crozet ends June 30.